March 9–11, 2012New York, NY—On March 9-11, Fountain Art Fair will open its doors at the 69th Regiment Armory for its seventh annual New York edition. An exhibition known for its vibrant energy, focus on daring emerging art, and disregard for convention, Fountain is committed to representing today’s most cutting-edge artists and galleries in its new home at the 69th Armory, a historical city landmark and site of the original 1913 Armory Show. Fountain opens for a VIP and Press Preview on Friday, March 9 from 1-7pm, followed by a public opening night reception from 7-11pm, complete with a performance by musical legend Fab 5 Freddy for an unforgettable kick-off celebration.Fountain is proud to be partnering with Art for Progress, a non-profit providing dynamic, creative arts education programming for under-served youth. Art For Progress will be exhibiting a diverse selection of work from its most promising visual artists and a special exhibit featuring student artists from various high school programs in New York City. More details about the carefully-culled program of art, installations, and live performances that make the singularly resonant Fountain art experience will be announced in the coming weeks. 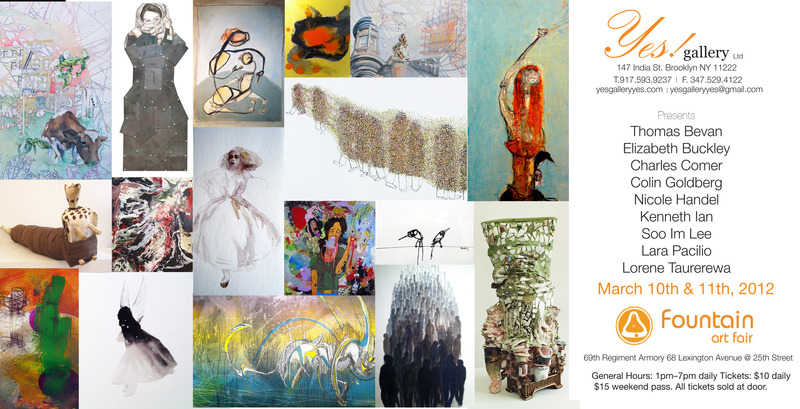 Visit FountainArtFair.com or Fountain’s Facebook page for the latest announcements on Fountain New York 2012.